30 Desserts & Sweets For Your Next Gathering! You are here: Home / Recipes / Dessert / 30 Desserts And Sweets For Your Next Gathering! 30 Desserts And Sweets For Your Next Gathering! Check out these 30 Desserts and Sweets to satisfy any sweet craving! Food is a big part of any gathering and desserts often play a huge role! When we think of the holidays we think of chocolate, candy, pies, and sweets. When we think of summer gatherings we think of ice cream and sno cones. No birthday is complete without a cake, and other celebrations often highlight desserts as the main feature! In light of that, I decided to gather up some desserts for you to add to your arsenal! We stopped eating sugar a while back, so, some of these are sugar free so anyone can enjoy them. 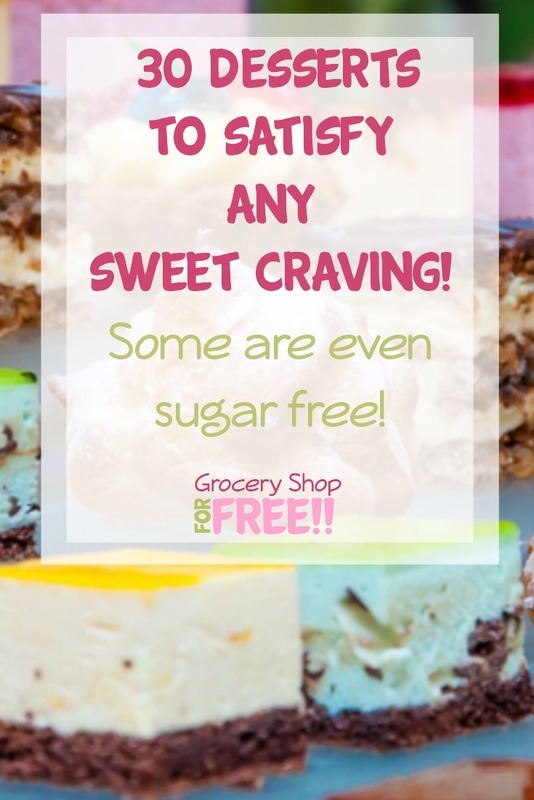 Since we stopped eating sugar we have spent time perfecting recipes that we loved and making them sugar free! 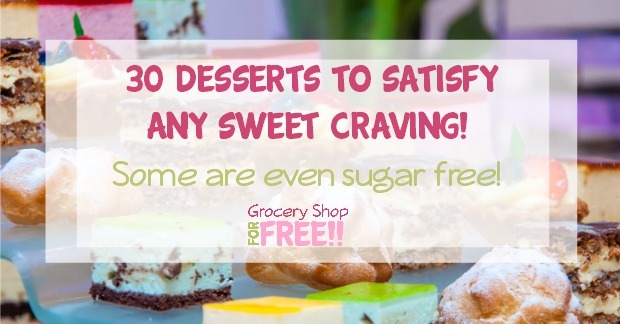 These desserts & treats are for your sweet tooth, if you’re looking for an easy, delicious dessert or snack we have you covered! 2 Minute Ketogenic Chocolate Muffin Recipe! Keto Friendly Lemon Fat Bomb Recipe! Low Carb Sugar Free Chocolate, Almond, And Coconut Candy! Sugar Free Copycat Wendy’s Frosty! Peanut Butter Cookies: Sugar Free Low Carb Recipe! Peanut Butter Candy! Family Favorite Recipe! Spiced Pumpkin Pound Cake with Caramel Glaze! Reese’s Peanut Butter And Chocolate Cupcakes! Super Fudge Brownies From Scratch Recipe! Creamy Banana Nut Cake with Vanilla Bean Frosting! Easy No Bake Chocolate Pie! Quick And Easy Jell-O Cheesecake! Homemade Sno Cone Syrup Recipe! How To Make Fondant Flowers & Bees! No Bake Chocolate Strawberry Pie!